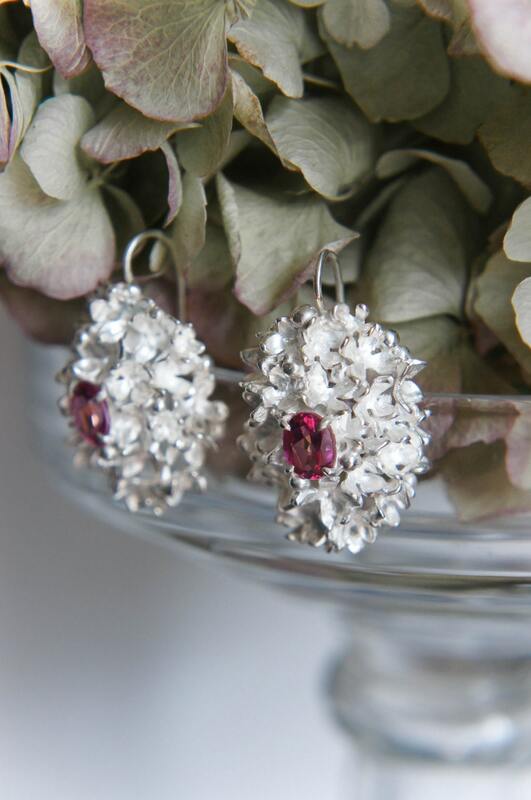 Wedding earrings features romantic floral design and were made from recycled sterling silver and adorned with beautiful pink topazes. 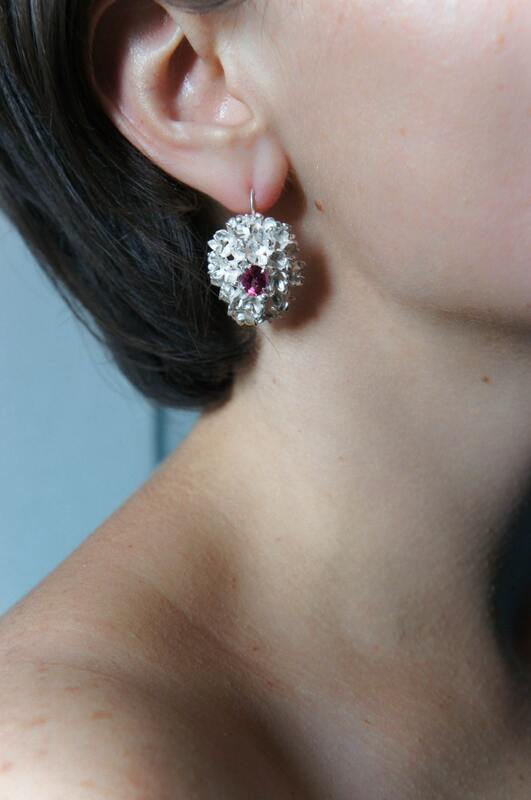 This handcrafted heirloom jewelry piece is perfect as bridal earrings or any special occasion jewelry. 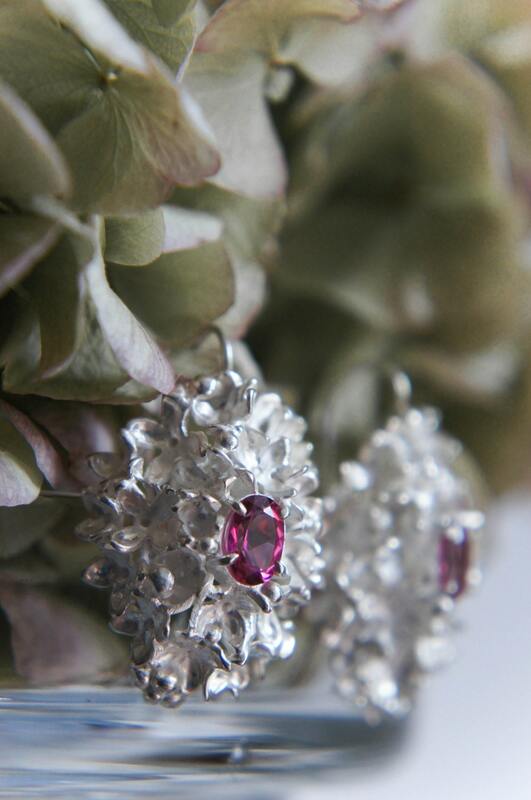 Each tiny lilac flower was cut from sterling silver sheet, filed and got shape using ancient forming techniques. 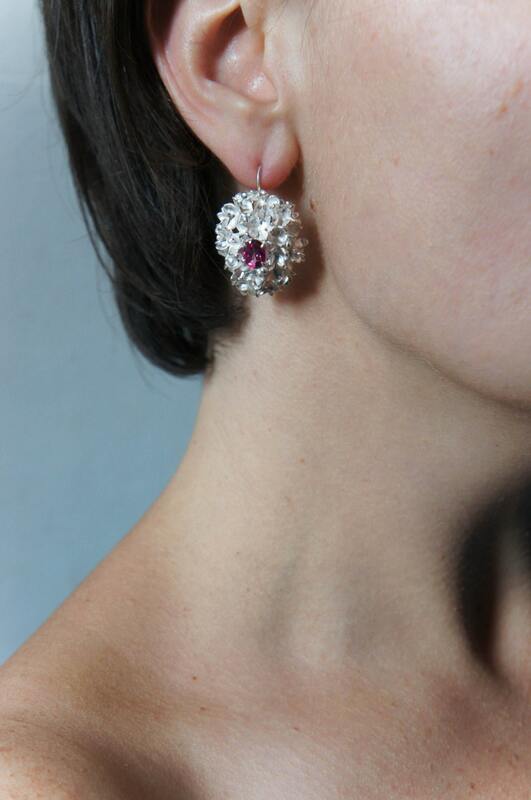 That's why these sterling silver earrings are truly unique and one of a kind floral jewelry piece. 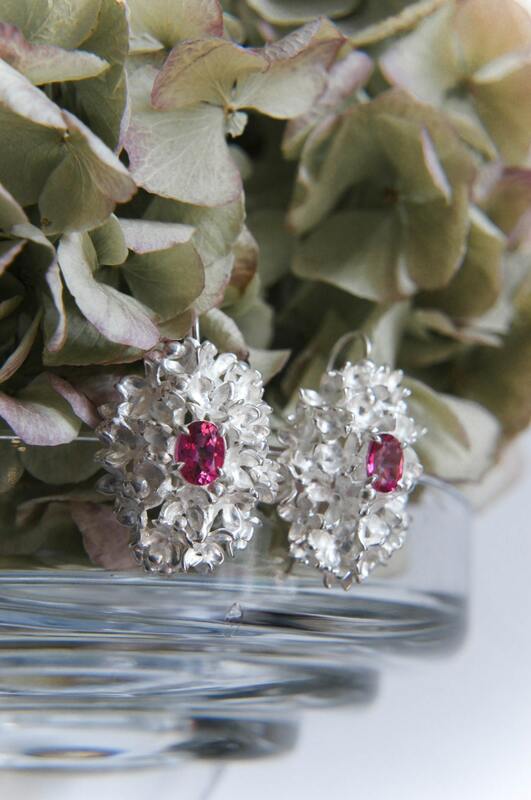 Why our sterling silver jewelry is so special? From sketch to final polishing - our artisan jewelry is made by me and my husband with care and high quality. We do not use molds, wax, precious clay. Everything you see was made from sterling silver sheet and wire. We use traditional silversmith techniques such as forming, soldering, engraving, hammering - all by our hands. It makes every piece truly unique and one-of-a-kind. Our nature jewelry comes in elegant black boxes and is ready to give.